The day finally arrived: it was time to run new propane lines under the trailer and drill some rather large holes in our pretty new floor. Sigh. We knew it couldn’t stay pristine forever. The next step was to continue making very permanent and terrifying holes in our trailer by drilling into the exterior walls to install a water inlet and 30-amp power inlet. I think I held my breath the entire time. The water inlet, made by Perko, is threaded for attaching a hose at a camp site and bringing pressurized or “city” water into the trailer. 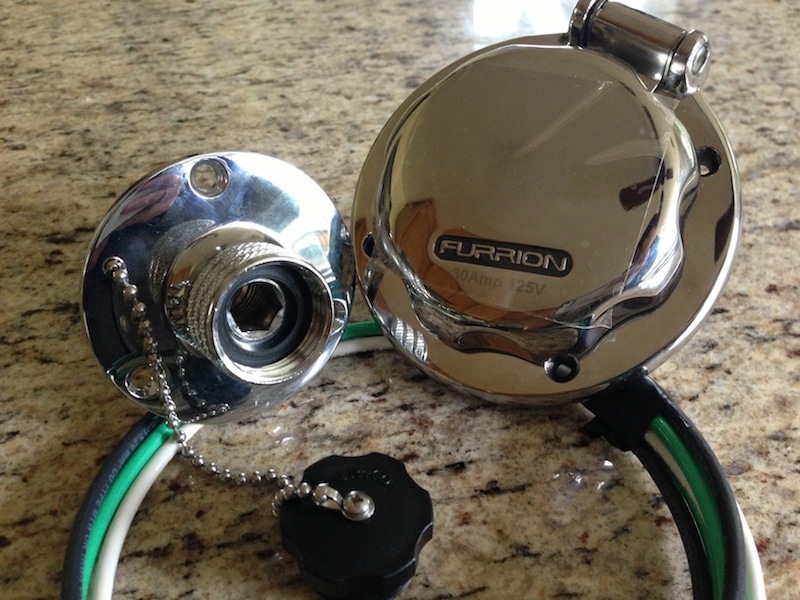 The power inlet, made by Furrion, will connect us to a 30 amp power supply at a camp site, or a standard household outlet (when paired with the proper adapter) when we need to charge our trailer batteries at home. We’re very impressed with the looks and construction of both outlets. 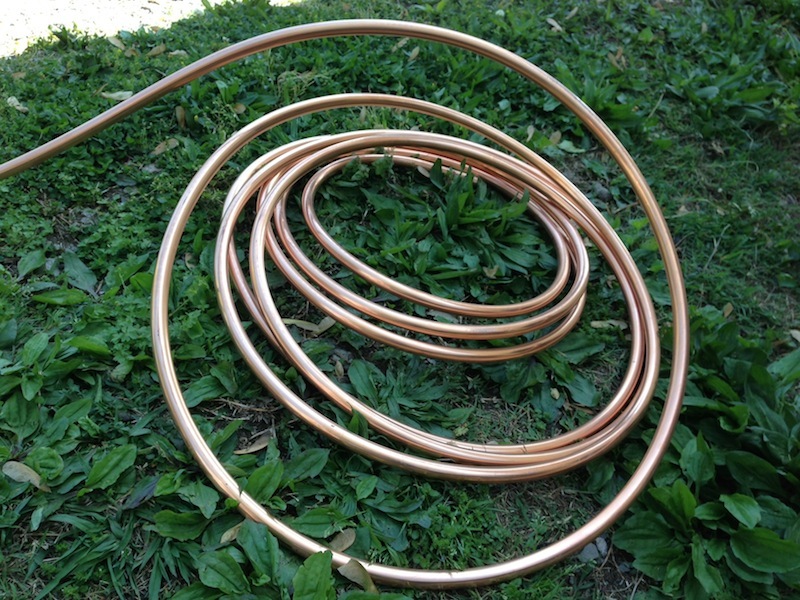 The Perko water inlet is even made in the USA of solid brass. Adding such nice fittings made it somewhat less awful to drill big holes in the side of our trailer. 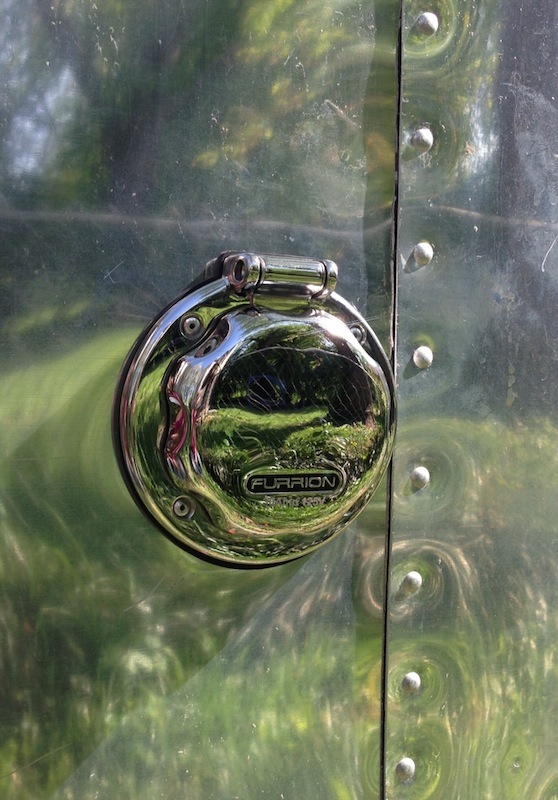 They both have a beautiful chrome finish that will look great if we ever when we get our trailer polished! Rather than contrasting with our Airstream in the painfully obvious way like the plastic models commonly used on RV’s, these classy inlets look like they’ve always belonged on our trailer — that’s saying something when you’re talking about a 50 year old rig!